Check out the schedule and details of organized rides for the entire season in the 2014 Northwest Bicycling Events: expanded list. Bicycling events are like spring wildflowers, sprouting here and there in February and March before bursting into full bloom from April into fall. More than 100 events are scheduled in the region with something for every style of rider – short- or long-distance, family-friendly or hard-core, mountain bike or road bike. One of the most specialized of the year’s cycling events around Spokane is the Double-Down Hoe Down, a two-day event that ends today with a spectator-favorite downhill mountain bike race based above the Spokane River at Camp Sekani. Riders with special heavy-duty, full-suspension bikes will be wearing body armor and full-coverage helmets as gravity speeds them down the slopes of Beacon Hill, flying over basalt outcroppings and powering into banked curves. Fast and dangerous, wipeouts are common in this version of cycling sports. It’s not for everyone. On the other end of the scale is the April 27 Lilac City Fun Ride. Starting from Spokane Falls Community College, riders can pedal at their own pace over courses of 15, 25, 50, 66 or 100 miles. This is the first large local event of the season, but many more are listed on the full online schedule of 2014 Northwest Bicycling Events posted online at spokesman.com/outdoors. The fun ride is sponsored by Aurora Northwest Rotary, one of numerous organizations that sponsor cycling events as fundraisers for worthy charities. Bicyclists sign up by the hundreds, and sometimes the thousands, to pay a fee and be pampered by groups that support participants with bike mechanics, food stops and post-ride barbecues or other events. Other events coming up in April include the Summer Parkways Kidical Mass event in the blocked-off streets of Spokane’s West Central Neighborhood and the Spokane Bike Swap, which is quickly becoming known as the best place to sell or buy a used bike. Following is a partial list of area bicycling events coming up through April. 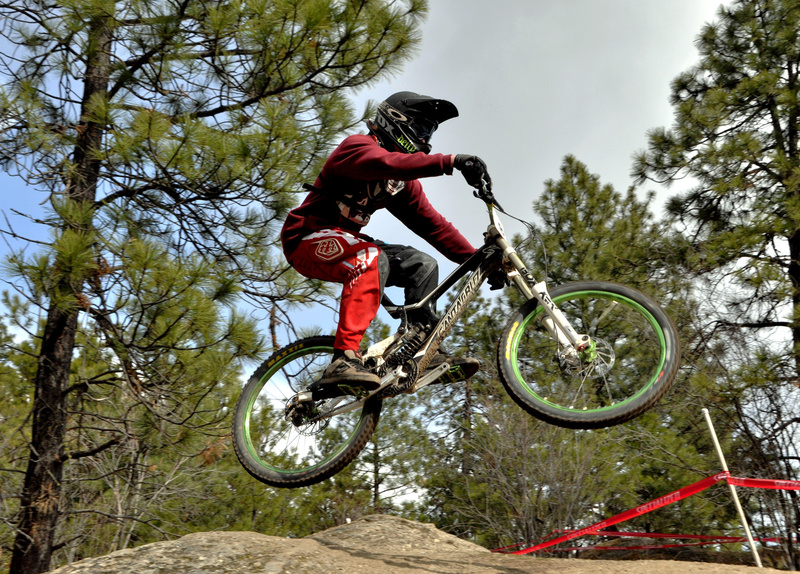 • Double Down Hoe Down downhill mountain bike race, ends today at Beacon Hill-Camp Sekani in Spokane. • Spokane Bike Swap, April 12-13: Buy or sell used bikes at Spokane County Fair and Expo Center; benefits Friends of the Centennial Trail. $5 entry, kids under 13 free. • Northwest Crank, April 12-21: Choice of at least two rides each day around Wenatchee area, including a RUSA Brevet (challenging ride with time limits at point stations). Sponsored by Seattle International Randonneurs. $100 for four days and banquet, or $25 daily. • Daffodil Classic, April 13: Ride 40, 60 or 100-mile loops in the Orting Valley southeast of Tacoma; treats finishers with strawberry shortcake, 39th annual event sponsored by Tacoma Wheelmen’s Bicycle Club. $30. • Spokane Summer Parkways Kidical Mass, April 26: A 3-mile ride for kids and their parents in the West Central Neighborhood, 1 p.m. Free. • Lilac Century and Family Fun Ride, April 27: Ride 15, 25, 50, 66 or 100 miles starting at Spokane Falls Community College, with food stops and baked potato at the finish. (Also note the 5K and duathlon opportunity.) Sponsored by Aurora Northwest Rotary. Email: lilaccentury@gmail.com. $40-$50 early. Register in advance for discount, but event accepts same-day entries. • Fat Tire Revolution Series, March 29-June 28, includes five races across Washington from Roslyn to Spokane, team and solo. • Cooper Jones Twilight Series, Tuesday nights, April 8 through August: Alternates from criteriums at Airway Heights to various road races. • Ronde van Palouse Road Race, April 12: Ride a 16-mile mixed-surface circuit near Spangle.